Government plans to build a new nuclear power station at Hinkley Point in Somerset are shaping up to be a disaster. Hinkley's already 8 years overdue. And by the time it's finished it'll be the most expensive object on earth. After the Brexit vote, prime minister Theresa May has announced a fresh review of Hinkley -- meaning the whole project could be on the rocks. Let's sieze this moment to pile the pressure on Theresa May and the new Chancellor Philip Hammond. A huge petition could be enough to convince them to abandon Hinkley and back cheaper, cleaner renewable power instead. Signing this petition will send an email to the Prime Minister. Look out for an email from Number 10 as you need to click a link in that email to send your message to Theresa May. 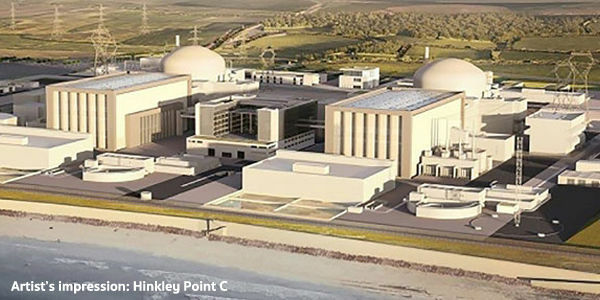 Don’t waste billions of pounds building a new nuclear plant at Hinkley Point in Somerset. Please invest government spending in renewable energy instead.